Critically acclaimed authors and highly regarded military history titles. Easy to read and well illustrated with numerous maps and images. Includes extracts from diaries and letters never published before. Written in an engaging manner for both mainstream readers and military enthusiasts. "The dead and wounded of the 47th Battalion lay everywhere underfoot” With these words Charles Bean, Australia's Official War Historian, described the battlefield of Dernancourt, strewn with the bodies of the Australian dead. It was the final tragic chapter in the story of the 47th Australian Infantry Battalion in the First World War. This Battalion fought in some of the First World War's bloodiest battles. Though their story is one of almost unrelieved tragedy, it is also story of remarkable courage, endurance and heroism. It is the story of the 1st A.I.F. itself - punished, beaten, sometimes reviled for their indiscipline, they fought on - fewer, leaner and harder -until final victory was won. And at its end only 73 remained. The narrative follows the battalion members as they leave their homes and lives, embark for overseas service, experience the excitement and boredom of arid and exotic Egypt, and undergo their baptism of fire in the first wave of the Australian and New Zealand landings at Gallipoli on 25 April 1915. Many previously unpublished personal accounts provide the heart of the narrative, while extensive research provides context and colour. This is a story about sons, brothers, husbands, who became soldiers in a bloody war on foreign soil. 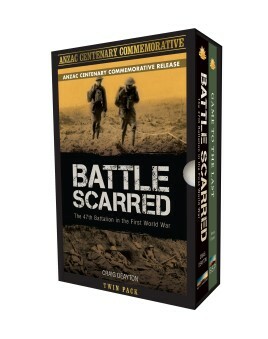 Their experiences are documented and retold with admiration and respect, and remind the reader of the human face of war." Craig Deayton is a History teacher with a special interest in Australia’s military history. He has worked as a teacher and College Principal for over twenty-five years and is currently Principal of Sacred Heart College in Hobart. Craig holds a Bachelor’s degree in History and a Masters degree in Education. James Hurst was born in Perth and studied at the University of Western Australia. He has since worked at the Universities of Western Australia and New South Wales and for the Department of Defence. For many years he has researched the Gallipoli Campaign in general and the 11th Battalion in particular, visiting the peninsula five times for research purposes. He has written a number of articles on the subject and produced an interactive CD-ROM guide to the campaign.James currently lives in South Australia with his wife and daughter.